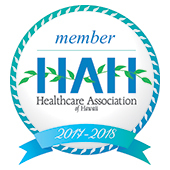 North Hawaii Hospice serves the entire community, even those without insurance. Providing a tax-deductible contribution assists us in our efforts to provide care and counseling to all who have need. Undesignated Gifts: Give NHH the flexibility to respond to the changing and unexpected needs of the families we serve. Gifts to Honor and Remember: Honor or remember a loved one by giving a gift in his or her name. When a gift is given in honor or memory of an individual, NHH sends an acknowledgment to the family of that individual. Life Insurance: Receive a tax deduction by designating NHH as a beneficiary. Restricted Gifts: Help take care of a particular need facing the community and NHH. Gifts to the Endowment: Demonstrate your commitment to securing quality end-of-life care in our community in the future by helping NHH build its endowment. In-Kind Gifts: Share your time, resources, and talents with NHH and be directly involved in supporting the work of our staff and volunteers. Underwrite a Special Event: Help make one of NHH’s local “friend-raising,” fundraising, or educational events a guaranteed success. Call (808) 885-7547 to make a gift by phone or to discuss your interest in supporting NHH.